The way I see it, friends are like family that you get to choose. How amazing is that? I feel like I never get to do justice to the incredible people who are in my life. However, when I saw this amazing necklace over from Plum & Posey, I knew that it would be a poignant birthday gift for me and one of my dearest friends, Danielle. They are made with a wax seal, and offer a dainty, rustic charm to most outfits. My favourite part is the image: peas in a pod, with the saying “All is discovered.” This is like the grown up version of those awesome puzzle piece necklaces that were sooooo cool when I was growing up. Thoughts? 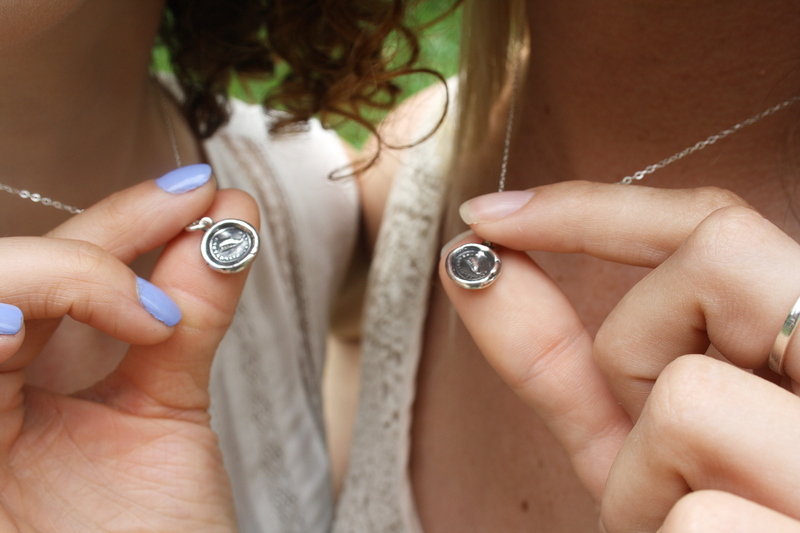 What are your go-to friend gifts? I truly wear that necklace EVERY day, it goes with everything! Fantastic gift, i adore it! And i adore YOU too! I’m so glad you love it! I wear mine everyday, too. I get lots of compliments!